Dimensions: 39.2L x 31.1W x 35.5H in. Make a sustainable selection in your lawn with the KoolScapes 50 gal. 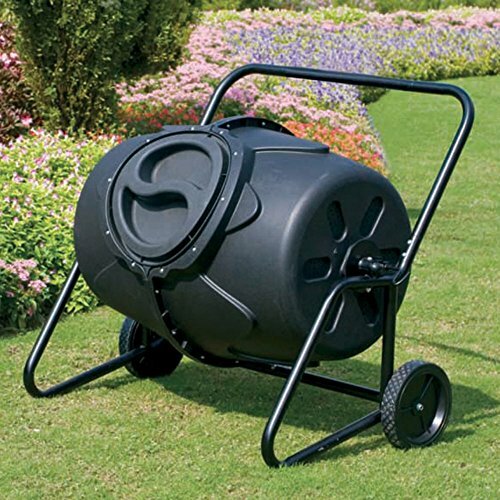 Wheeled Tumbling Composter. This heavy-accountability composter is constructed to ultimate. The twist-lock lid is simple to take away and assists in keeping flora and fauna from entering the compost. Dimensions: 39.2L x 31.1W x 35.5H in.. Plastic building. 50 gal. capability. Wheeled for ease of mobility. Tumbling decreases the time for the composting cycle.